with an extra bathroom. Moreover there is a fully equipped kitchen and an office space that serves the lower ground level. 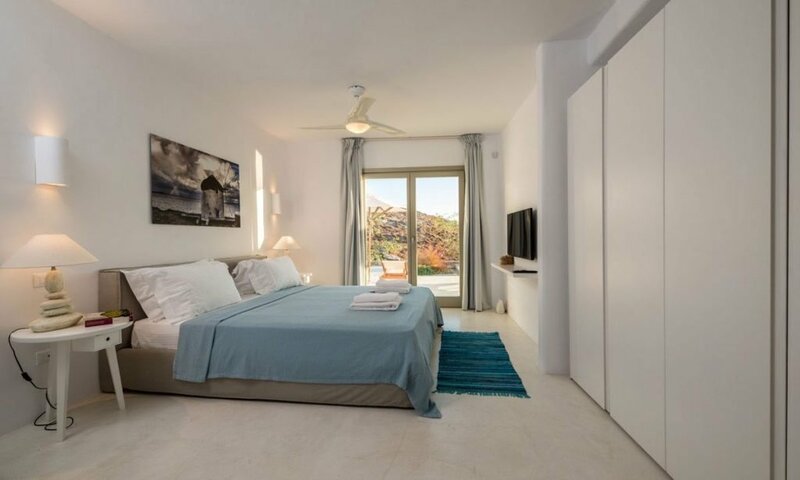 Mykonos Villa White uniqueness is the high standards of its construction, the quietness and peace of the surroundings as well as its magical views.